A mine site in Masbate has recorded its highest gold production of 216,498 ounces in 2018, driving the total global production of its foreign operator, B2Gold, into an all-time high. B2Gold, a listed mining company based in Canada, said its Masbate mine has exceeded the upper limit of its upgraded guidance range of between 200,000 and 210,000 ounces in 2018. For the fourth quarter of last year alone, Masbate mine produced 51,555 ounces of gold, 13 percent above original budget. The Masbate Gold Project (MGP) is located on Masbate Island in Bicol region. Overall, B2Gold’s gold production in 2018 stood at an all-time high of 953,504 ounces, 51 percent higher than what it had in the previous year, a company disclosure to Toronto Stock Exchange and the New York Stock Exchange showed. This marks “the tenth consecutive year that B2Gold achieved record annual consolidated gold production,” the firm said. In total, B2Gold recorded an annual consolidated gold revenue of $1.2 billion, a dramatic increase of 92 percent over what it had in 2017. Right now, the company is currently expanding the operations of MGP, hoping to increase its mill output from 6.8 million tonnes per annum (Mtpa) to 8 Mtpa. This, according to the firm, will maintain its gold production at approximately 200,000 ounce per year during the mining phase and, on average, at a further 100,000 ounce per year when the low-grade stockpiles are processed at the end of the open-pit mine life. B2Gold said the expansion will come on line early this year. With improvements in its operation, B2Gold is also hoping to reduce its cash operation cost and all-in-sustaining costs (AISC) in MGP. For full-year 2018, MGP’s cash operating costs are now expected to be at the low end of the reforecast guidance range of between $545 and $595 per ounce. Original guidance was pegged between $675 to $720 per ounce. Its AISC are also expected to be at the low end of the reforecast guidance range of between $780 and $830 per ounce from original guidance of $875 to $925 per ounce. 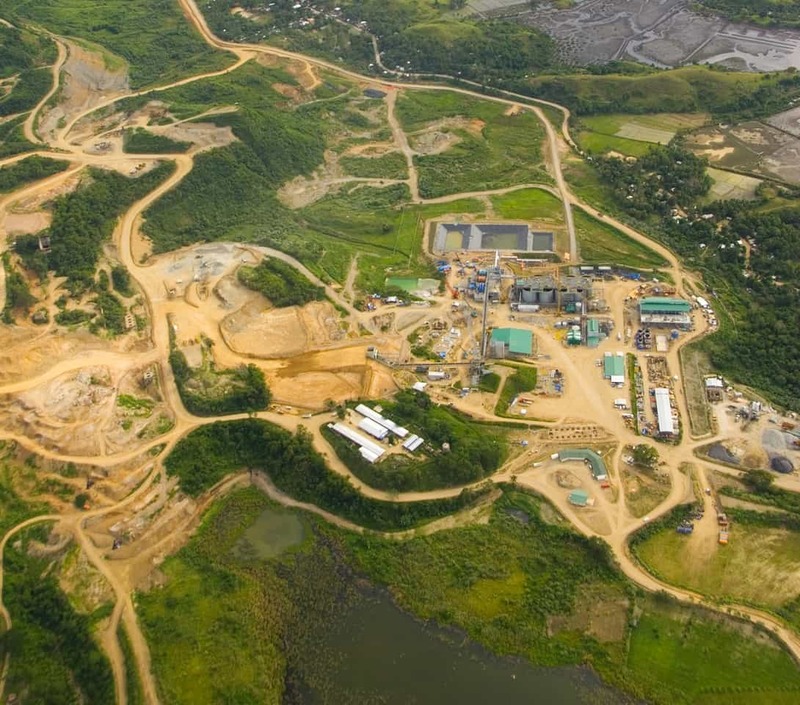 B2Gold acquired the Masbate Mine through a merger with CGA Mining Limited in January 2013. The company now indirectly own the mine through 100 percent ownership of Philippine Gold Ltd., which owns 40 percent of Filminera Resources Corporation (FRC) and 100 percent of Philippine Gold Processing & Refining Corporation (PGPRC). The remaining 60 percent of FRC is owned by a Philippine registered company, Zoom Mineral Holdings Inc. (Zoom). As of now, B2Gold Corp. hold an option to acquire the interest of Zoom and to determine a new Philippine holder of the interest, in accordance with Philippine law. For this year, B2Gold forecasts gold production of between 935,000 and 975,000 ounces, with AISC estimated at between $835 and $875 per ounce. The company also allotted a budget of US$43 million for “aggressive exploration” focused in Mali, Burkina Faso and Ghana.